To braai or not to braai? Asked nobody. Ever. Braai’ing (noun braai) is deeply ingrained in South African culture. Not only is it a national sport, but there’s also a public holiday called Braai Day. If the whole country knows how to braai, we would have 55+ million braai ideas. Instead, we narrowed it down to eight. Everyone has different talents and skills. Some have perfected the art of braai master, some are guru salad makers, others are bread buttering experts. Everyone is special. You shouldn’t really tell a South African how to braai. They can pretty much do it anywhere, permitted or not, with or without shelter. In fact, a South African braai master could probably crush Bear Grylls out there in the wild, fighting off a lion blindfolded, while braai’ing rumps medium-rare. Very, very important. This is another reason why we’ve discussed gas vs wood in-depth here and here. Charcoal and gas have their place in time. Like, if you ran out of wood and the shop is 100 km* away and you only have charcoal, then, by all means, use it. * Being a bit lazy, don’t you think? The Atmosfire can only be present with a wood-burning fire, so make sure you have enough of it. This Fire provides the pervading mood of coziness and relaxation. It’s here where everyone engages in a culturally conditioned atmosphere, which has been around since the cavemen. Gas and charcoal miss the mark on this one. This is a big job. It starts with the guest list, kids, menu, entertainment, alcohol, and drinks. What do you provide? What do your guests bring? Are you prepared for any accidents, can you tell jokes, and so it goes on. The goal of hosting a braai is for you and your friends to have a ‘really’ good time. 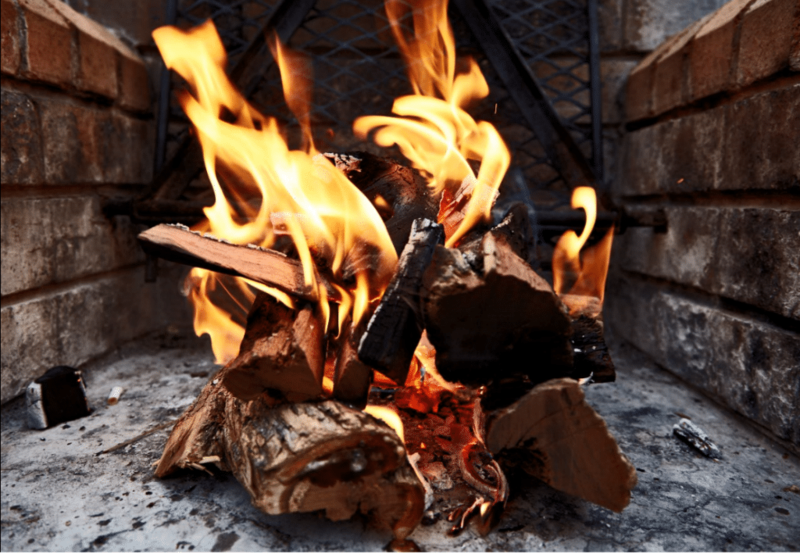 So, check out these braai ideas for hosting and entertainment and your visitors will leave thinking they had the best South African braai ever. People get grumpy (and drunk) when they get hungry, so it’s all about timing. Keep your guests sober-ish by providing healthy starters and snacks sometime before the meat feast is served. We have great braai ideas for starters and snacks to choose from, which includes so much more than the conventional chip-and-dip. Braai ideas for braai meat is a massive topic because almost anything can be braai’ed. The decision of what to braai boils down to how many people you’re catering for. The cost is a big factor unless money’s no object, then just give everyone a fillet. If it’s just you and your partner having a quiet braai, it probably won’t break the bank to have a T-bone each (the kids can have a sausage). But, if you’re providing all the meat for your braai party, then have a look at these braai ideas for a cost-effective carnivorous indulgence. There’s an abundance of salad recipes that can complement your list of best South African braai ideas. The most popular being the potato salad, coleslaw, carrot and pineapple, and curried beans. If you want to be a bit more exotic, then venture away from these childhood favorites and test out some new modern salad for the braai table. Most of us have at least one vegetarian friend (nobody’s judging), so if you’re going to do all the catering, think of these guys too. Grilling a carrot on a fork, like a marshmallow may be the simplest, but not the best for your guest. A sure winner that should accompany every braai is the Baked Potato wrapped in tin toil (for both the carnivores and herbivores). Try these more adventurous vegetarian braai ideas that will impress your dietary-specific mates. The most important thing to start with here is having a separate grill to braai fish on. People have been known to throw away their braai grids after braai’ing a snoek. Don’t let that put you off. Smoked fish is truly a braai treat. Not everyone wants to do it, so if you’re a BraveHeart, try out these lip-smacking fish braai ideas. There are so many braai ideas for South African desserts and one of the most common is the Melktert (Milktart) and it comes in two different forms. As a liquid and a solid. The liquid is the sweet after dinner liqueur that tastes exactly like the pudding, except after a few of these tots you can’t walk. The only side-effect from eating too much milktart is a tummy ache (for being a little piggy). As time passes, traditions and rituals are passed on to younger generations but with increasing international influences, they may be shaped differently in years to come. However, the real essence of the South African braai will forever be unchanged.